Here’s a great new series by ZE OTAVIO for Época Negócios Magazine on an article published originally in The Economist 1843 Magazine. 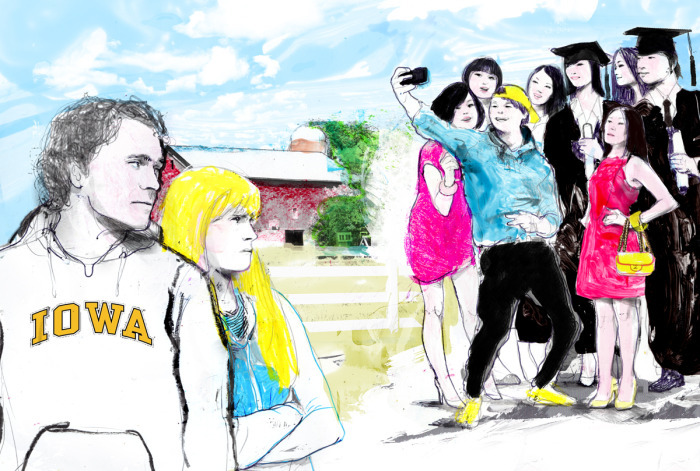 The article is called “Alienation 101” and is about the hopes that the flood of Chinese students into America would bring the countries closer, but a week at the University of Iowa suggested to Brook Larmer that the opposite may have happened. Click here for the link to the original article in English.